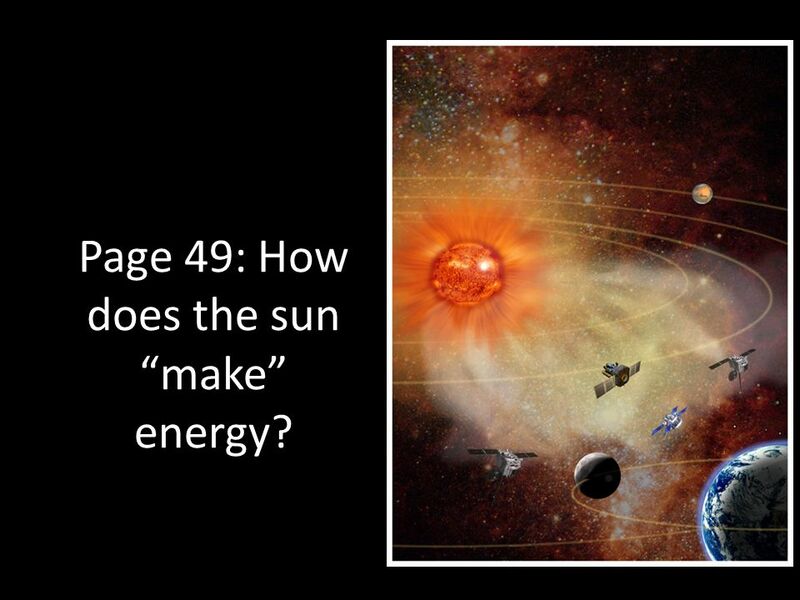 Page 49: How does the sun “make” energy?. Our Sun – A Day Star Why is the sun a DAY STAR? Formed 4.5 billion years ago – the same time as Earth! The sun. 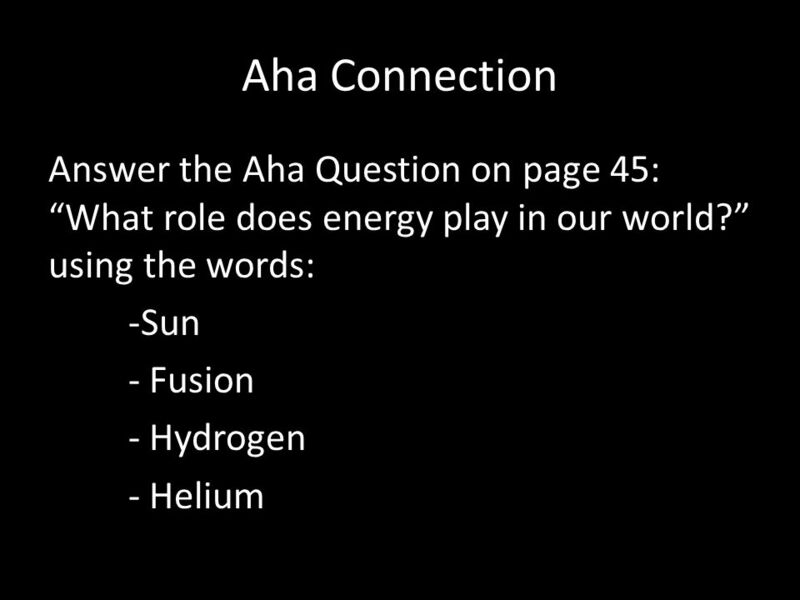 1 Page 49: How does the sun “make” energy? 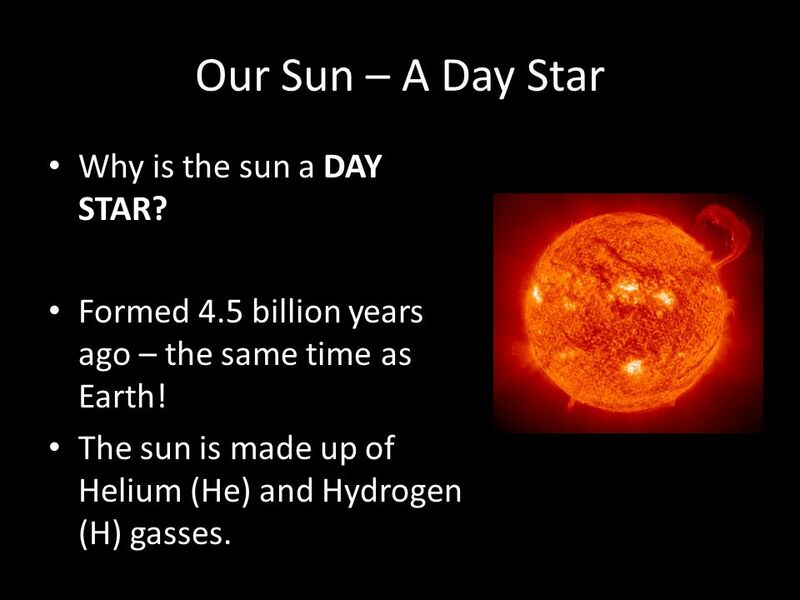 2 Our Sun – A Day Star Why is the sun a DAY STAR? Formed 4.5 billion years ago – the same time as Earth! The sun is made up of Helium (He) and Hydrogen (H) gasses. 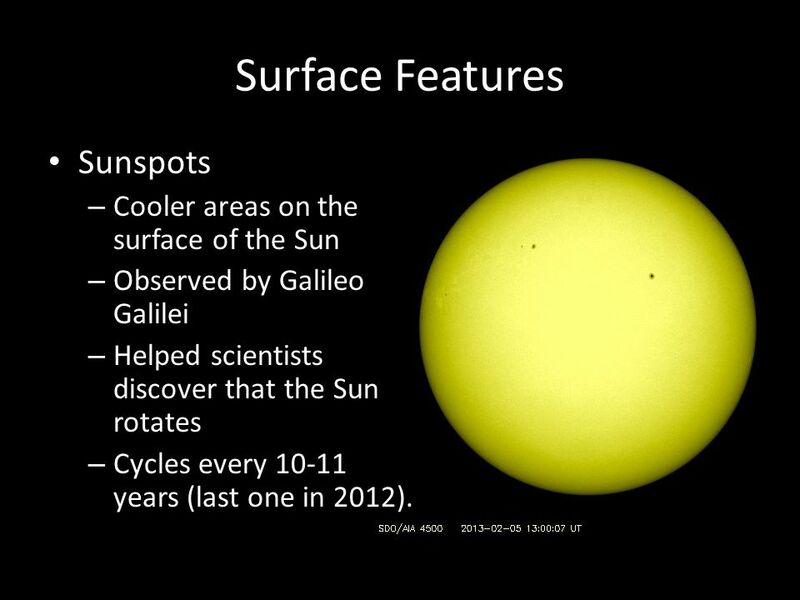 4 Surface Features Sunspots – Cooler areas on the surface of the Sun – Observed by Galileo Galilei – Helped scientists discover that the Sun rotates – Cycles every 10-11 years (last one in 2012). 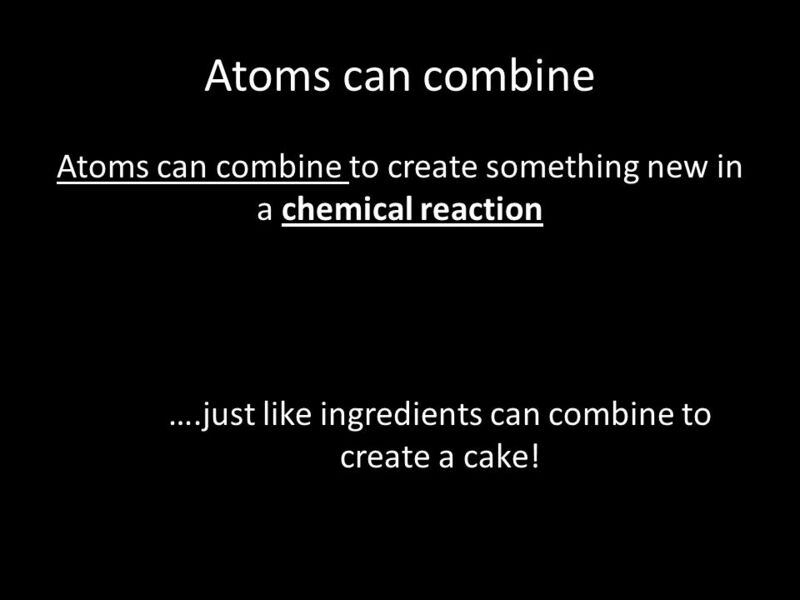 10 Atoms can combine Atoms can combine to create something new in a chemical reaction ….just like ingredients can combine to create a cake! 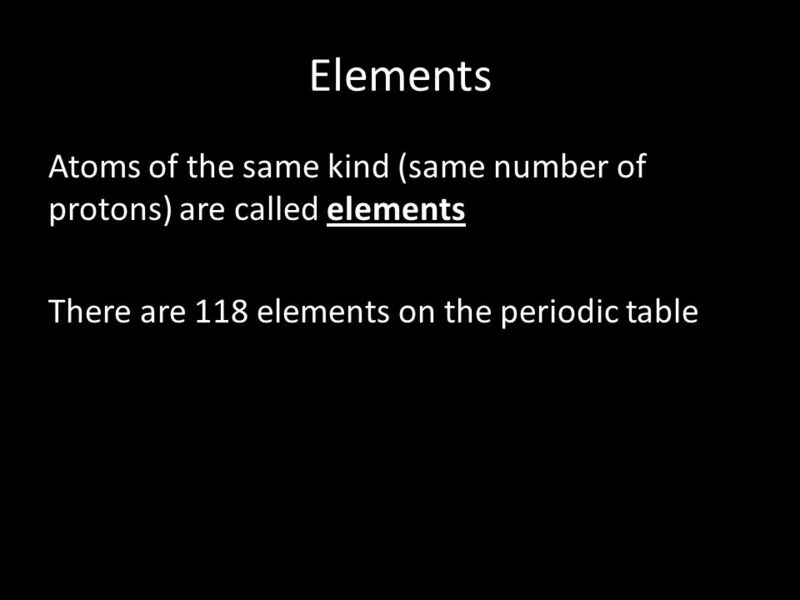 11 Chemical reactions ReactantsProducts! 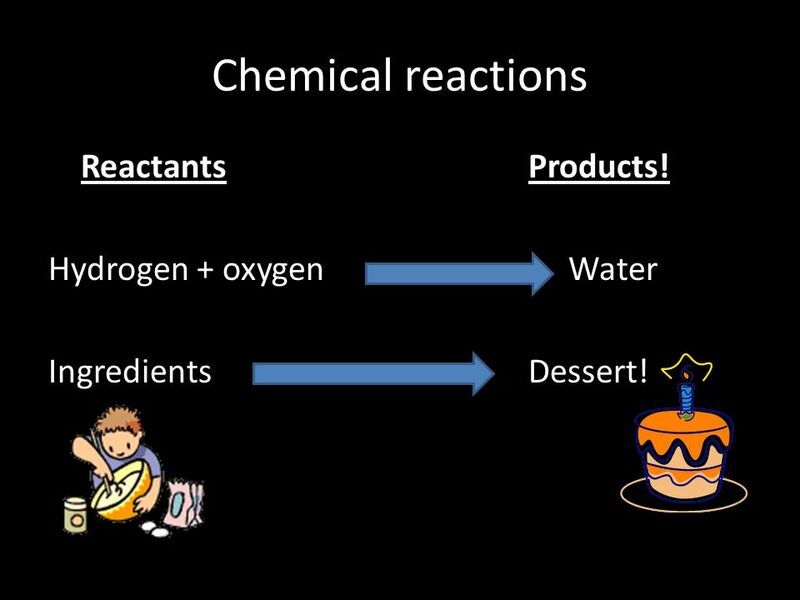 Hydrogen + oxygen Water IngredientsDessert! 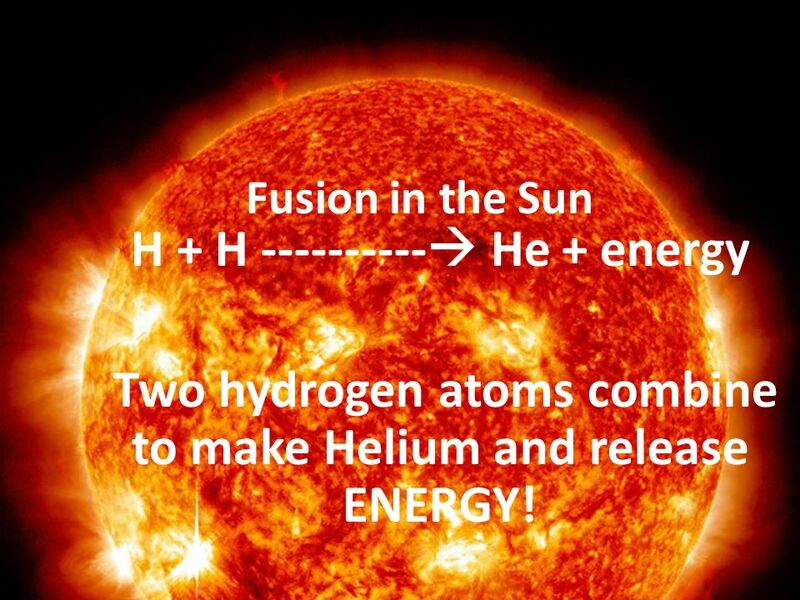 13 Fusion in the Sun H + H ----------  He + energy Two hydrogen atoms combine to make Helium and release ENERGY! 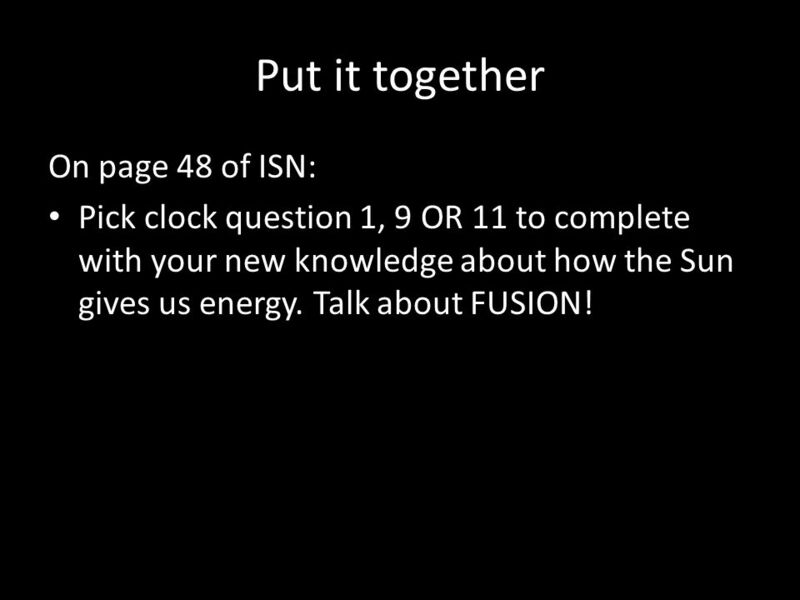 16 Put it together On page 48 of ISN: Pick clock question 1, 9 OR 11 to complete with your new knowledge about how the Sun gives us energy. Talk about FUSION! 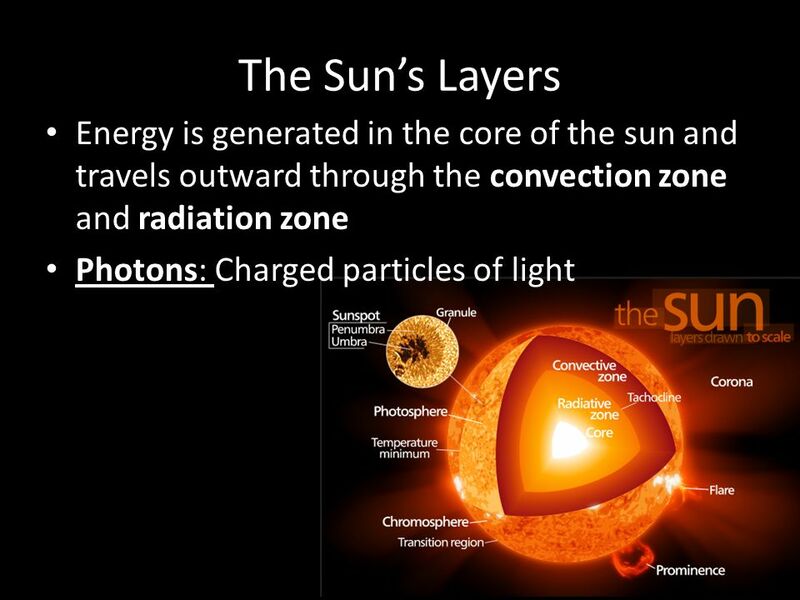 Download ppt "Page 49: How does the sun “make” energy?. Our Sun – A Day Star Why is the sun a DAY STAR? Formed 4.5 billion years ago – the same time as Earth! The sun." Chapter 10 Our Star A Closer Look at the Sun Our Goals for Learning Why does the Sun shine? What is the Sun’s structure? Chapter 11: Our Star © 2015 Pearson Education, Inc. Copyright © 2012 Pearson Education, Inc. Chapter 10 Our Star 1. The Sun The Sun is a star. The Sun is a star. It is 4,500 million years old It is 4,500 million years old It takes 8 minutes for its light to reach. The Sun, our favorite star! WE CAN SEE IT REALLY WELL. The Sun is the basis for all of our knowledge of stars. Why? Copyright © 2012 Pearson Education, Inc. Radius: 6.9  10 8 m (109 times Earth) Mass: 2  kg (300,000 Earths) Luminosity: 3.8  watts Our Star. 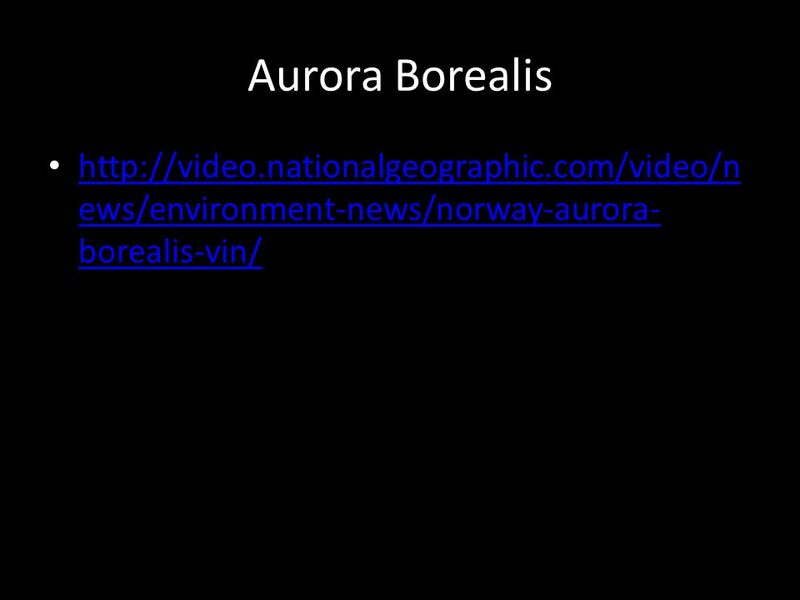 This Set of Slides This set of slides covers our Sun, nuclear processes, solar flares, auroras, and more… Units covered 49, 50, 51. THE SUN AND STARS And anything I want to put in here. Our Sun A medium sized star. Our Sun Our sun is a typical medium sized star. 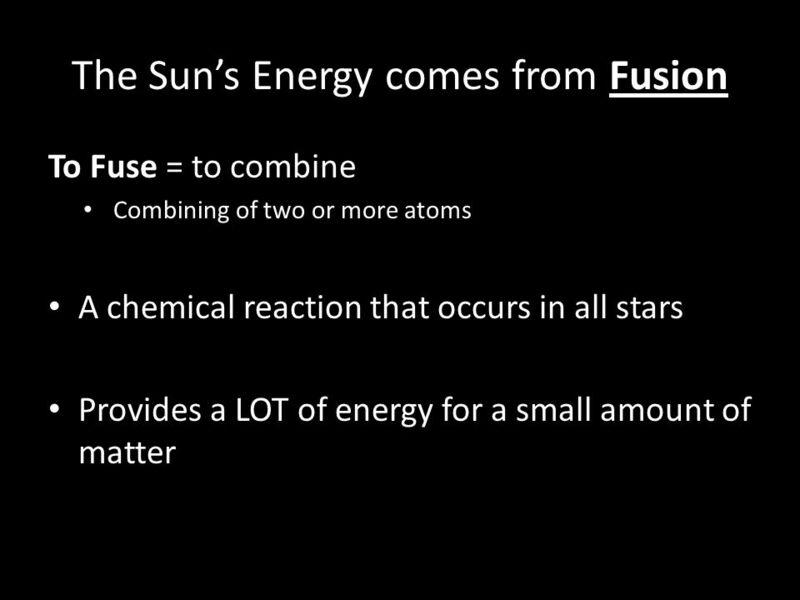 A star is a hot ball of plasma that shines because nuclear fusion is taking. The Sun : Our Closest Star A. 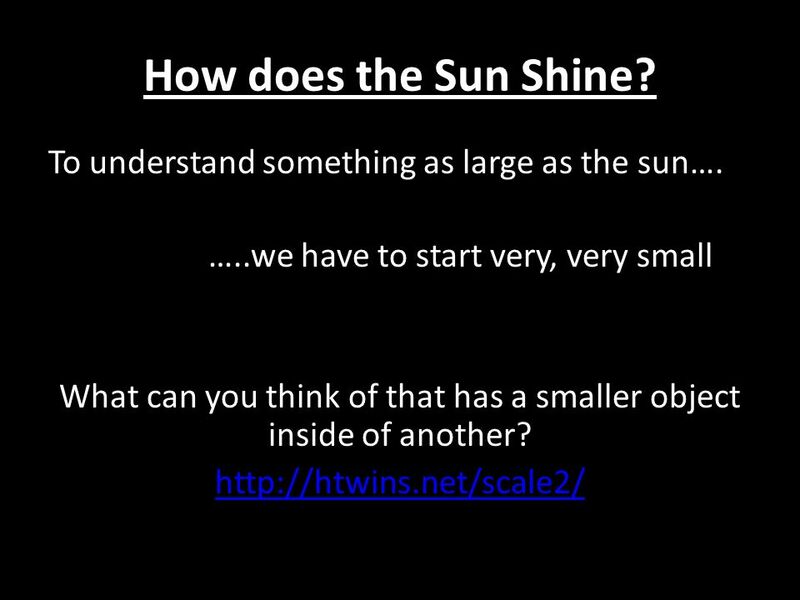 The Size of The Sun 1. The sun is a medium size star. 1. The sun is a medium size star. 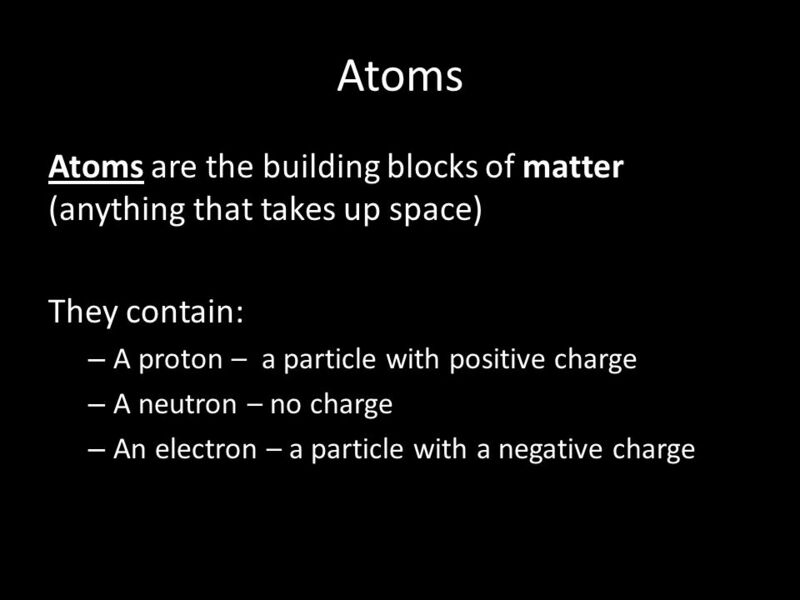 99 % of ALL matter in our solar. Notes The Sun. Stars an object that produces it own energy, including heat and light. Our Sun. 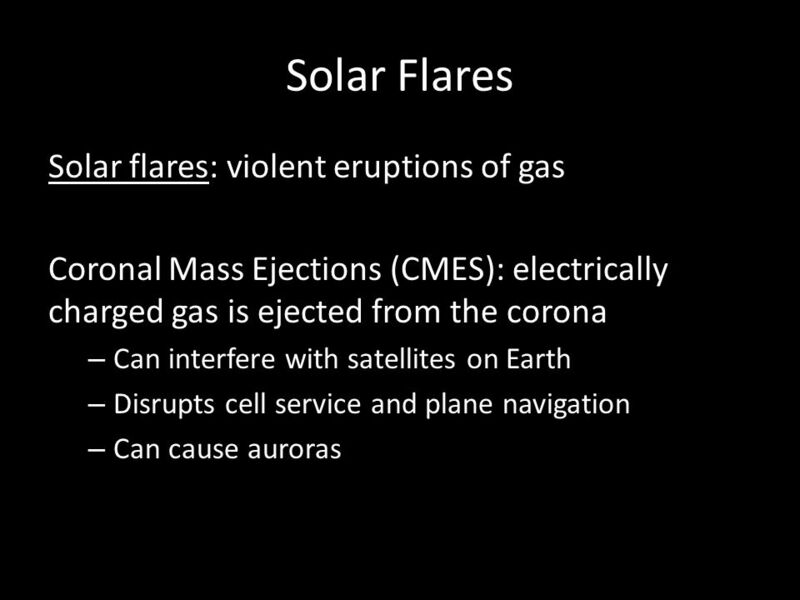 Why do we care about the Sun... - Light, heat, life - Space weather solar wind (1,000,000 mph) flares (UV, x-ray radiation) disturb Earth's magnetic. Structure & Function. Our Nearest Star  Core  Comprises about 25% of sun’s interior  site of nuclear fusion  Radiative Zone  Energy produced in.  The visible light we see is only a small amount of energy coming from various objects. 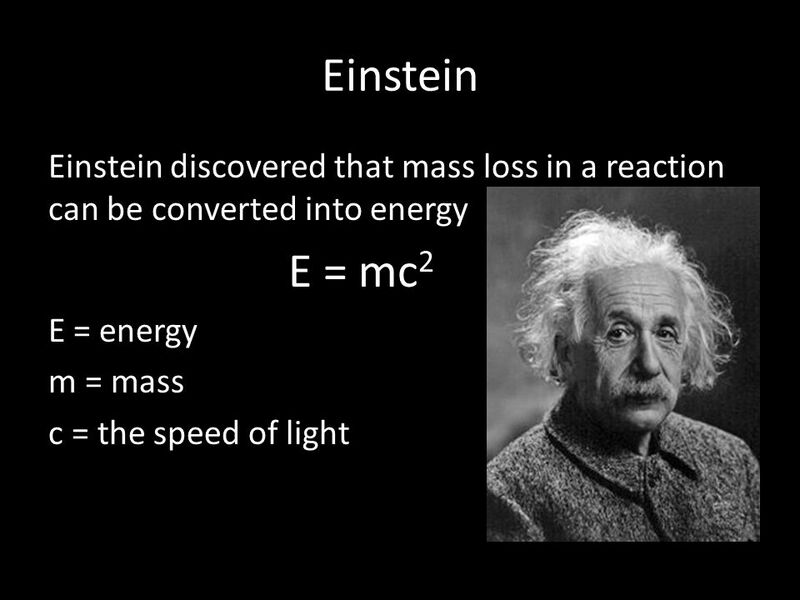  By studying other forms of energy, astronomers can learn more. THE SUN. The Sun The sun has a diameter of 900,000 miles (>100 Earths could fit across it) >1 million Earths could fit inside it. The sun is composed.